Teeth whitening, bonding, veneers and more. One look at the remarkable difference just one teeth whitening session can make to the color and complexion of a patient’s smile and it’s easy to see why the procedure has quickly become the most commonly performed cosmetic dental treatment in the U.S. Teeth whitening treatments offer a quick, safe and affordable solution for any patient wanting to improve the health and appearance of their smile by removing the stains the come from years of eating and drinking our favorite foods and beverages. 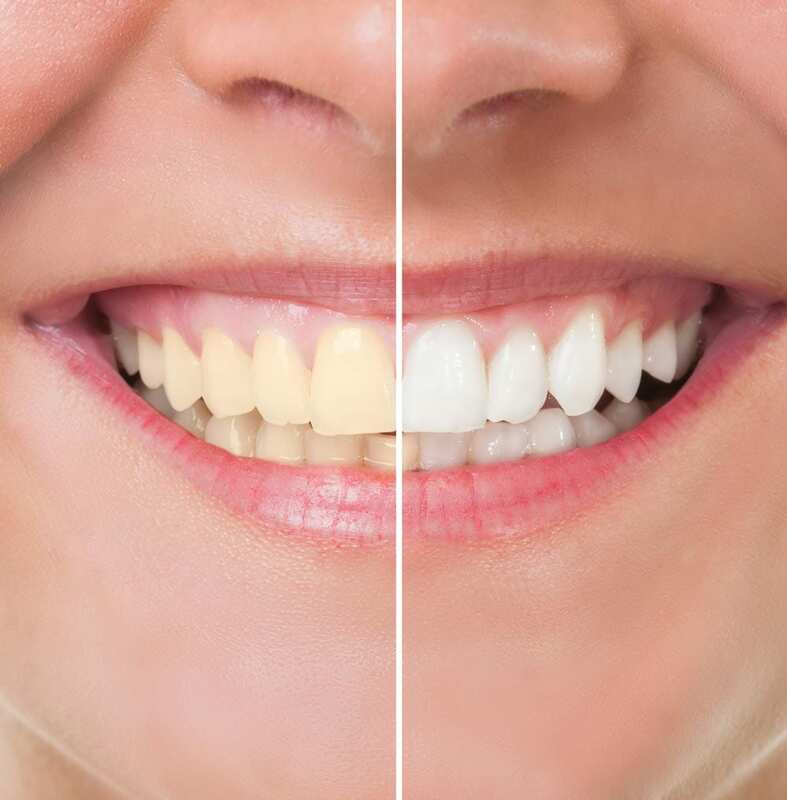 At Murray Scholls Family Dental, we offer patients the convenience of experiencing the remarkable difference KöR Teeth Whitening Treatments can make to the health and appearance of their smiles. With KöR whitening kits, patients can improve the complexion of their smiles over a few sessions on a schedule that works for them. The KöR Teeth Whitening System provides patients a whiter smile by improving their teeth’s ability to absorb oxygen. The high concentration of oxygen found in KöR’s advanced whitening formula deeply penetrates your enamel, dissolving and removing the stains that have accumulated over the years. Unlike over-the-counter whitening options, KöR Whitening delivers lasting results that will leave you wondering why you ever waited. With the KöR Teeth Whitening System, patients can take comfort in knowing that the product has received decades worth of clinical study and has been safely used on millions of patients worldwide. Don’t risk your oral health by trying the latest whitening fad. Trust the professionals at Murray Scholls and KöR to provide the results you’ve been looking for. Contact our office to schedule your KöR consultation with Dr. Walker today! Bonding is a resin that is used in the front or back teeth to restore decayed teeth, lighten stains, close minor gaps or correct crooked teeth. A tooth is prepared through light etching on its surface, and a bonding resin is placed on top. The tooth is bonded, sculpted, colored and shaped to improve your smile. Once cured with a high-intensity curing light, the surface is polished. 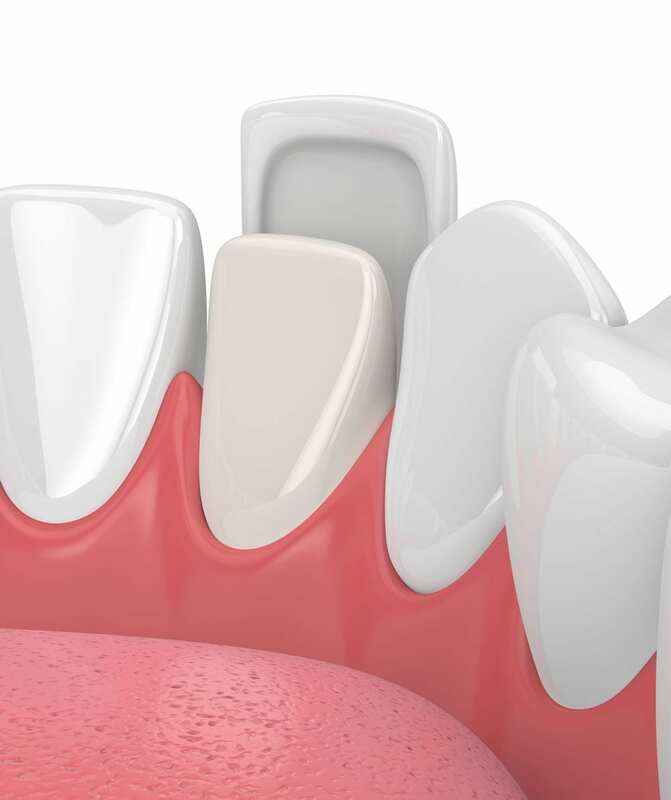 Tooth bonding is convenient, often completed in one visit, and can significantly improve the appearance of a tooth. Bonding typically lasts three to five years or even longer before needing repair. Porcelain veneers are a fast and simple way to give patients the smile they have always wanted. 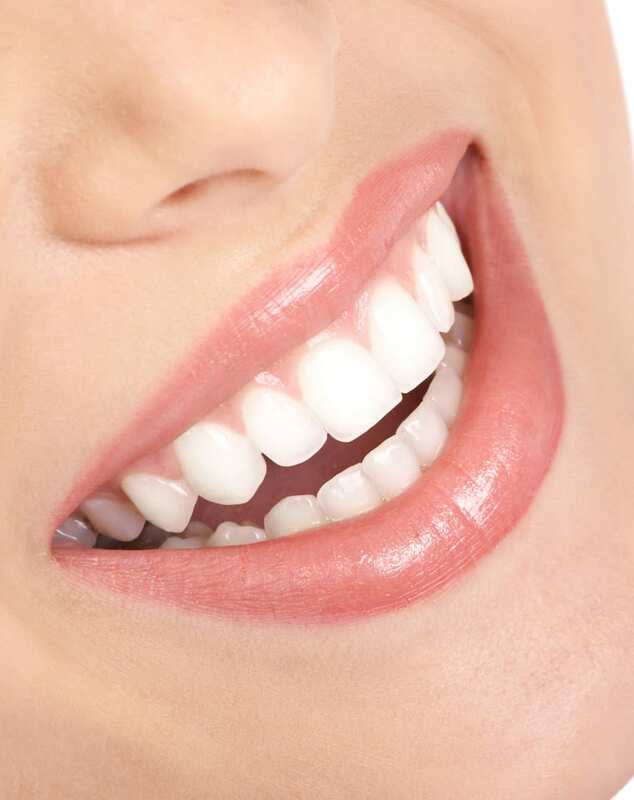 Dental veneers are a great option to straighten and whiten teeth and repair cracks or chips. Porcelain veneers are a thin layer of porcelain that is bonded to an existing tooth. These thin pieces are bonded to the front of your teeth, and are generally used to improve the overall look of your teeth, especially if you have teeth that are uneven, chipped, stained or crooked. Ultra-thin porcelain veneers are virtually undetectable and highly resistant to stains from substances like coffee, tea, or tobacco. Veneers can be completed in about three dental visits. The first visit involves a consultation with Dr. Walker. The second visit an impression of your teeth will be made and sent to the lab where your veneers will be made. The veneers will then be place and bonded to your teeth during the third visit. Dr. Walker will ensure that your veneers are crafted from the highest quality porcelains and are bonded with the most advanced and proven materials available. While there are other options out there for straightening your teeth, none offers the level of comfort, convenience and confidence that you’ll receive by choosing Invisalign. Whether you’re considering adult braces or need kids’ braces, you’ll appreciate how our cutting-edge approach to Invisalign treatment at Murray Scholls will have a minimal effect on how you live, but will provide a significantly positive impact on how you or your kids look and feel. Invisalign effectively treats a wide variety of malocclusion cases, including crowding, spacing, misalignment, overbite and underbite. Invisalign not only straightens teeth, it allows you to eat whatever foods you want. Invisalign’s removable straightening trays are nearly invisible, allow you to brush and floss like normal, and are made of smooth plastic instead of sharp metal. Dr. Walker and his team are Preferred providers for Invisalign braces in Beaverton, Oregon. Schedule a consultation today to see if Invisalign is right for you! 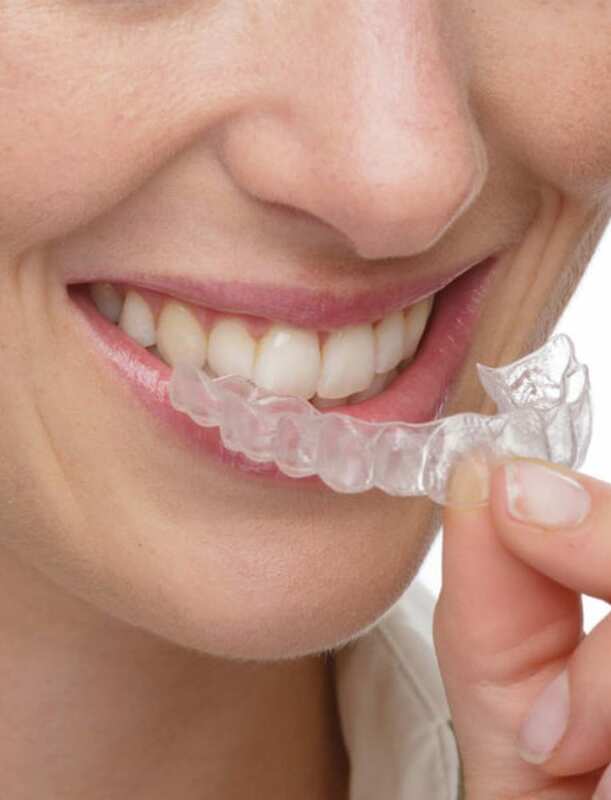 Learn more about Invisalign.